What could be more rewarding on a hot summer’s day than diving into the cooling water of a mountain lake, feeling the wind through your hair as you bound across choppy waters on a speedboat, or lying on the bank of a mountain lake dangling your feet in the water and watching the glorious red hues of the sunset illuminate the sky around you? 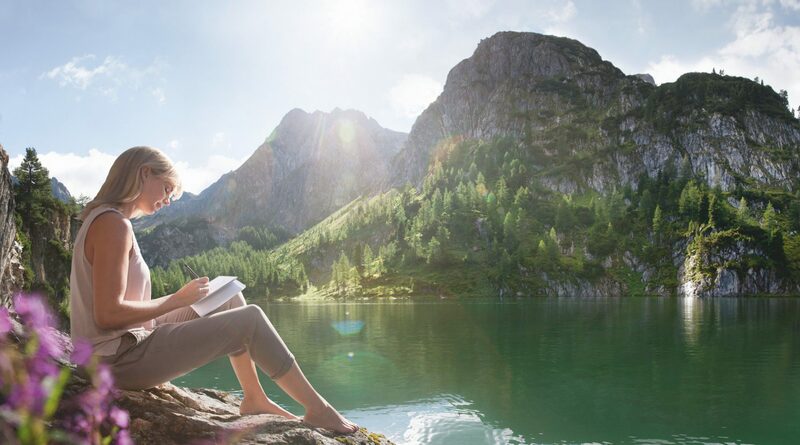 All these experiences can be found in abundance in SalzburgerLand. Amidst unspoilt nature, all variety of life plays out on the many beaches and bathing spots during the summer. Friendships are forged, tans are topped up, beach volleyballs are served and drinks are slurped. The largest lakes in the region are just a stone’s throw away from Salzburg City. They can also be found in SalzburgerLand Lake District and let’s not forget about Lake Zell. Travel further down south and you’ll also find no end to the opportunities to cool off and have fun in the water. All over the region heaps of fun for the whole family can be found and keen anglers will also find their paradise here. What’s more, many of these lakes boast drinking-water quality. Here are some more details of how you can enjoy summer to the max in the water, SalzburgerLand-style. More than 180 crystal-clear lakes are spread out over the entire SalzburgerLand region. They invite you to have hours of fun, enjoyment and pure rejuvenation. Nestled between impressive mountain ranges and gentle hills, there are plenty of gems waiting to be discovered in the Fuschl See, Wolfgang See and Seenland regions. Whether you just want to stop off for a quick photo, or want to spend your entire summer relaxing on one of the many river banks, you will find it difficult to tear yourself away at the end of your visit. Water water everywhere and so much of it to drink. The bathing lakes in SalzburgerLand are of drinking-water quality. Their purity is even protected under the strictest of environmental regulations. As the lakes are examined and checked more than 5 times a season, drinking-water quality is guaranteed. The SalzburgerLand lakes are just bursting with variety and offer countless opportunities. Just strip off and jump into the cool blue to enjoy the Alpine Summer. It’s impossible not to feel completely at ease and relaxed in these untouched natural oases. Open-air swimming is as much a part of the SalzburgerLand summer culture as ice-cream and sunglasses. When the open-air swimming pools open their doors at the beginning of May you just know that summer has officially arrived. With diving boards, volleyball courts, children’s playgrounds or areas to sit and catch up with your friends, you’ll be sure to find your favourite pastime at these joints. Why not bathe in Mozart’s city? There are a host of water-based possibilities to cool off after a stroll through Salzburg Old Town. The city’s open-air swimming pools, such as the Leopoldskroner Bad, the AYA and the Volksgarden swimming pool are all within walking distance of the inner town. There are also a number of secluded beaches all within a short cycle ride from the city. Highly recommended is a visit to the crystal-clear Waldbad in Anif. Surrounded by a luscious forest, you can sunbathe on the walkways in front of the water to take a break from your beach volleyball game. If you’re after something more adventurous, there’s a high-rope adventure course which poses many a dizzying challenge. Expect fun and adventures for the whole family in the midst of unspoilt nature. 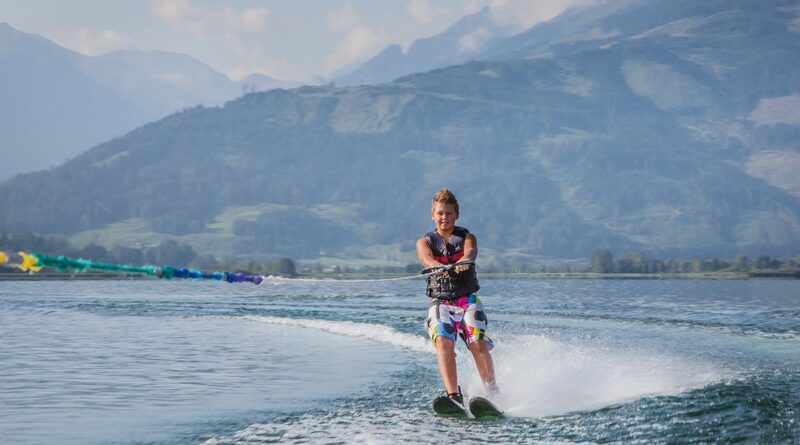 With exhilarating waterslides directly into the lake, a Banana Boat, sailing, wind and kite surfing, diving, canyoning, rowing, water skiing, stand up paddling, or wakeboarding, there is no limit to what you can do. There’s a wealth of possibilities for anglers here. If you’d like to try your luck fly fishing in a mountain stream or are looking to pick up some tips from professional anglers on some of the larger lakes, you are sure to find your perfect catch. The promise of fun in the water in SalzburgerLand isn’t an empty one. It’s an intrinsic part of the region’s culture. Come here for dives into cool clear waters, fun and games or just peace and quiet on the lakes. However you want to spend your next visit, you’re guaranteed to find your perfect match in SalzburgerLand.